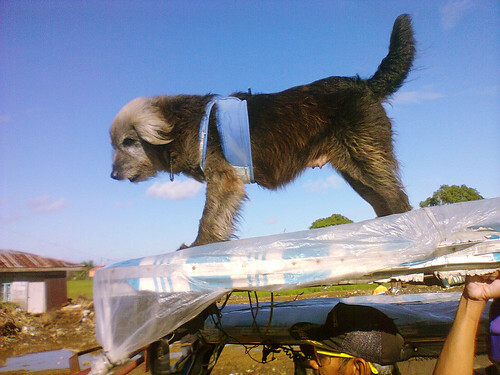 While on a bike ride this morning I saw a tricycle with a dog on top of its roof. 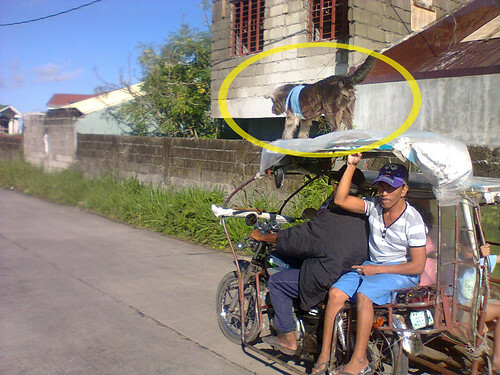 The vehicle was moving and the dog kept changing position from one roof to the other. I pulled out my official camera: Nokia C3 and chased the tricycle and got this picture while I was overtaking. Luckily the furry one stayed on the left side. Happy Summer guys go out and explore, ride, run and take some pics along the way.